Very sharp 2 story Colonial in The Vineyards of Sha Estates. You will love living in one of Saline Schools most desired neighborhoods just minutes from Schools, shopping, and Ann Arbor and walk-ing distance to the Saline Rec Center. This 3/4 acre is perfectly manicured with extensive landscaping, large yard, deck, and patio with built in firepit. The interior of this home sparkles. 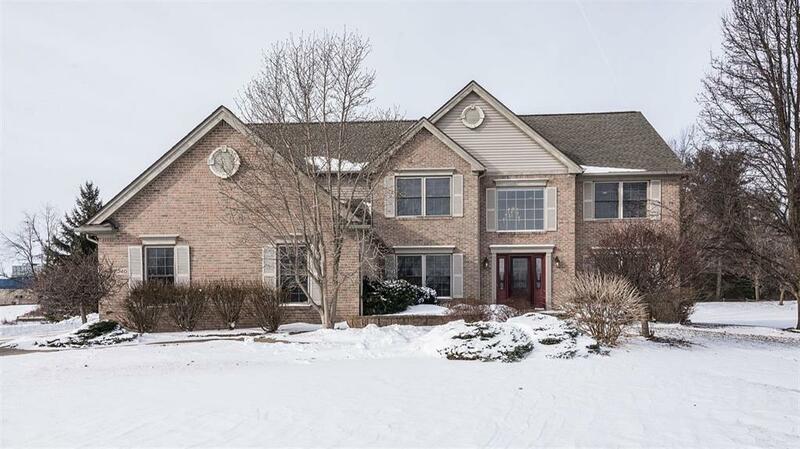 Highlights include welcoming two story foyer, fantastic Maple kitchen with granite counter tops and stainless steel appliances, open concept family room with raised ceiling and fireplace, nice formal living and dining rooms, and main level den. The upper level features one of the nicest master bedroom suites you will see with large bedroom area, walk-in closet, sitting area, and great master bath with new quartz counter tops, three large kids bedrooms, and updated main bath. The lower level is finished with a large rec space, full bath, and egress window. Basement Frig included. You will love this home!